Today Del Frisco’s Restaurant Group, Inc. announced the opening date for the Plano location of its award-winning Del Frisco’s Double Eagle Steak House. The 14,000 square foot, two-story restaurant will open to the public on Wednesday, May 3, 2017, at Legacy West in Plano as part of the luxury, prime, mixed-use development, including retail and restaurants, hotels, offices, apartments, and condominiums. This will mark the first time Del Frisco’s Restaurant Group has opened a Del Frisco’s Double Eagle Steak House in Plano and Collin County. This will be the third location in the Dallas-Fort Worth Metroplex. 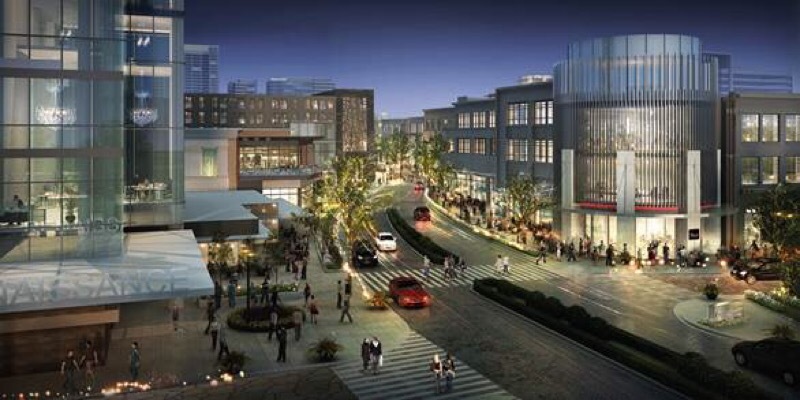 The intersecting area at Legacy Drive and Dallas North Tollway in Plano has quickly become known for powerhouse corporate headquarters, as well as a unique offering of retailers, urban lofts and restaurants, and Del Frisco’s is thrilled to be at the epicenter of it all. Our premium steaks, award-winning wine selection and swarming service are a perfect fit for this area. The Legacy West development is located on the corner of Dallas North Tollway and State Highway 121. Del Frisco’s Double Eagle Steak House will occupy a two-story space on the southeast corner of Windrose Avenue and Legacy Drive across from the Renaissance Hotel. Del Frisco’s Double Eagle Steak House at Legacy West features 446 seats across two floors that include two bars, five dining areas, four private dining rooms, a nearly 9,000 bottle wine wall, and a robust second-story patio deck with impressive views of Legacy West. Aria Group Architects in Chicago, the same firm who created the Del Frisco’s Double Eagle Steak House in Chicago and Orlando, has designed a modern, bold and dramatic space, punctuated by a two-story chandelier extending 25 feet through the first- and second-floor bars. The dramatic circular first-floor bar, adorned with 18-foot high ceilings, luxurious white marble, burnished leather and texture oak paneled bar die, is a perfect spot for dining, drinks and socializing. Two oversized chandeliers, created from metal mesh planes, grace the main dining rooms. When backlit, they create unique patterns from the layering of mesh and warm lighting as they interact. Another focal point, a grand star with custom metal screen railings, extends to the second-floor, integrated into the wine displays that extend the length of the first-floor dining and bar spaces. In anticipation of the May 3 opening, a series of public and private events will be held at the restaurant, including a series of Collin County centric fundraising events, an invitation-only pre-opening VIP party and a ribbon-cutting ceremony for the official opening. Del Frisco’s Double Eagle Steak House at Legacy West will feature bold, chef-driven cuisine, including a selection of new 45-day dry-aged steaks, as well as the signature 28-day wet-aged filets and bone-in steaks they are known for. Market fresh and seasonal seafood favorites will also be showcased on the menu. The menu will also feature a diverse wine list of more than 1,000 labels that includes a mix of California and global wines from a variety of new and old world producers priced from $50 to $5,000. The wine list includes one-of-a-kind bottles like Del Frisco’s Private Reserve 2014 Napa Valley Cabernet made exclusively for Del Frisco’s by premier Napa Valley Winemaker Robert Foley and etched Imperial of Far Niente/Salvatore Ferragamo Cabernet Sauvignon from the 2002 Napa Valley Wine Auction. The restaurant will be open Monday through Friday, 11 a.m. to 2:30 p.m. and 5 p.m. to 11 p.m., Saturday from 5 p.m. to 11 p.m., and Sunday from 5 p.m. to 10 p.m. The bar will remain open all day Monday through Friday, and will open at 4:30 p.m. Saturday and Sunday. Call 972-312-9115 for reservations.